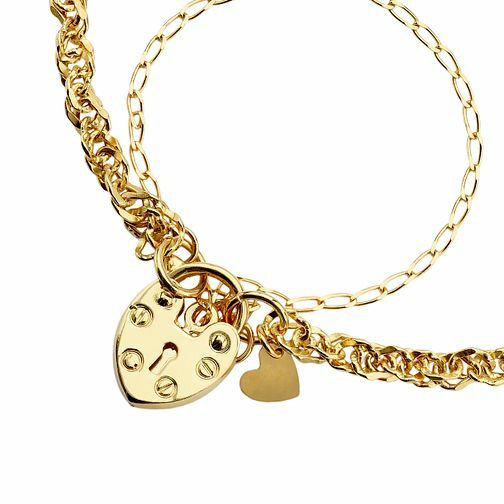 Treat her to a truly romantic gift, with this elegant Singapore bracelet in 9ct gold, finished with a beautifully engraved heart padlock charm. Sure to become a favourite in her collection. 9ct Gold Heart Padlock Charm Singapore Bracelet is rated 5.0 out of 5 by 3.